You spend (hopefully) eight hours asleep. That is eight hours that your hair and skin are in contact with sheets, pillowcases, comforters, and blankets. It is also eight hours that your hair and skin can either be subjected to friction and irritation, or to gentle, soft comfort. We prefer the latter, which is why we love HOMFY Bedding. It is soft and luxurious feeling against my skin and my hair easily glides over it, almost like a silk pillowcase. I don’t wake up with “pillow face” thanks to the soft microfiber. It is so gentle on skin! I also don’t wake up with staticky or frizzy hair. I can style my hair at night and it is as smooth and glossy the next morning as it was when I went to bed! 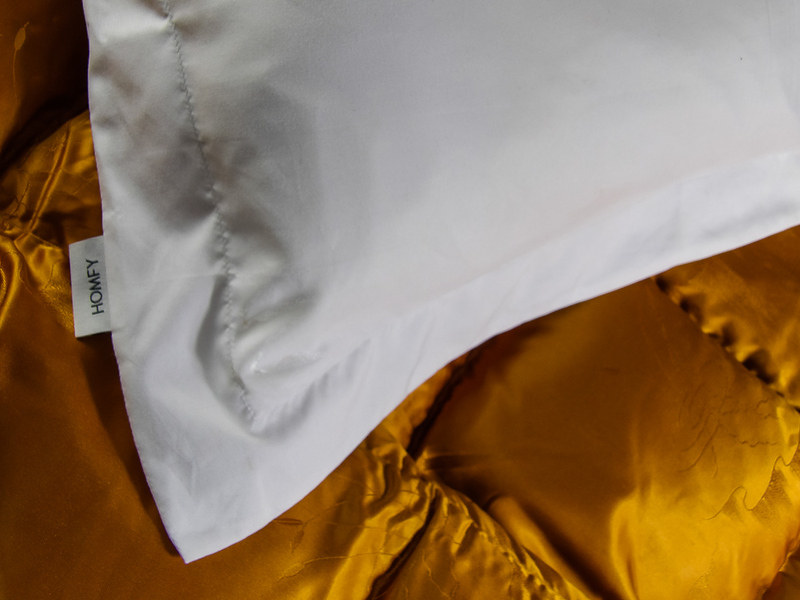 DEEP POCKET(18″) DESIGN – The fitted sheet is designed with deep pockets (18’’) with elastic all around, making it snugly fit the mattress. I like this feature since my mattress has a high loft. Comes in a variety of beautiful colors! I really like the white because it is so crisp looking, though. It’s like going to bed in one of those gorgeous Instagram bed pictures every night! The sheets feel really good too. On hot nights there are cool and don’t cling to you, and on cold nights they provide warmth thanks to the microfiber! What I love the most about these sheets? They are hypoallergenic, which makes them perfect for sensitive skin. The Microfiber also protects against dust mites and mildew. I love how the crisp white sheets brighten up and tie together a dark background and vibrant colors! Right now the HOMFY bed sheets are on sale for $29.99, which is a great deal for such an amazing set. But it is getting cold out, isn’t it? Time to add a luxurious comforter, like the HOMFY 100% Cotton Queen Comforter. 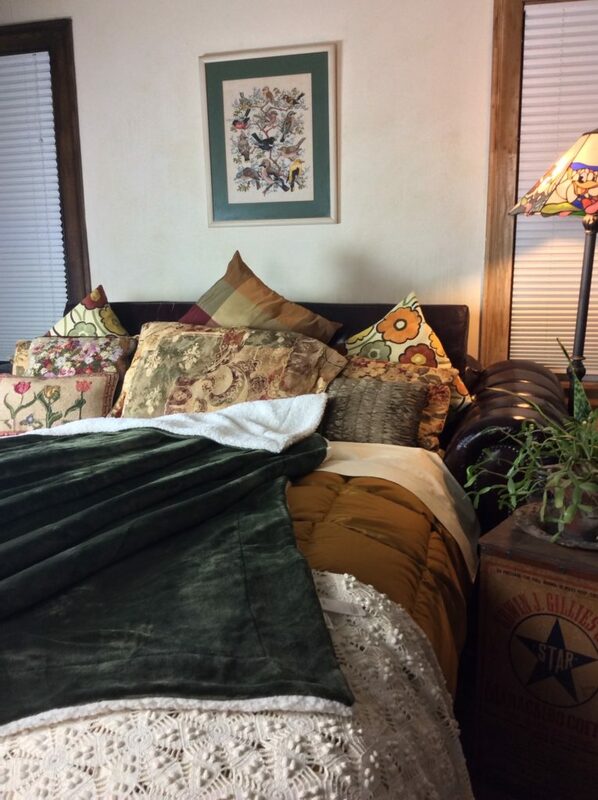 Nothing is as inviting as a Down Comforter on a chilly winter night. 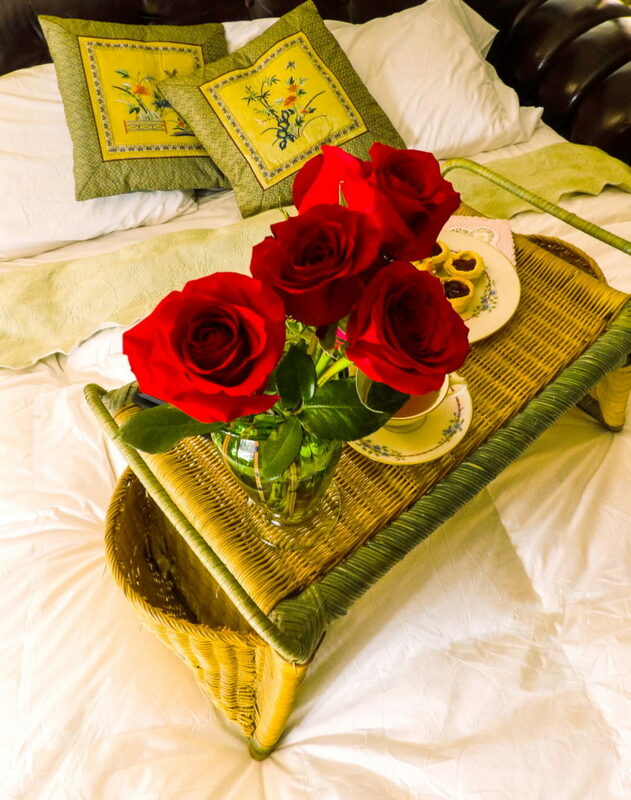 Ever stay at a boutique hotel and love the high-end bedding? The HOMFY 100% Cotton Queen Comforter reminds me of luxury hotel quality bedding in both design, stitching, quality, and comfort. The box stitched design keeps the fill weight evenly distributed with no leakage for a comfortable, soft, fluffy bed. 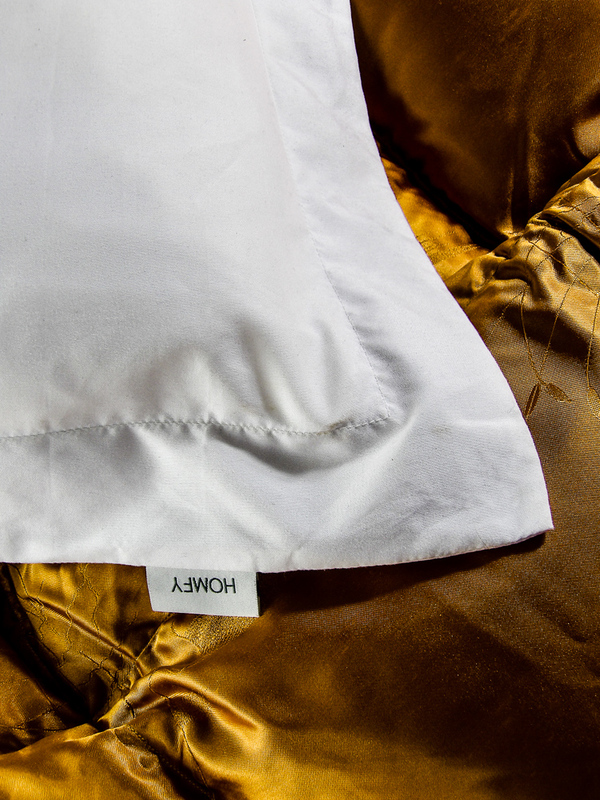 Hypo-allergenic, light-weight and soft, it is an affordable luxury item that makes for much better night’s sleep. We’ve had a real cold streak lately here in New England, and this blanket has kept me toasty warm while still being lightweight and comfortable. It’s a high quality, similar to when I stayed at a boutique Omni Hotel who has fantastic luxury bedding in all their guest rooms. The HOMFY 100% Cotton Queen Comforter is not scratchy or stiff; it is soft, very fluffy and full. It also isn’t too heavy. It is made with Down Alternative Microfiber fill, so it is hypoallergenic! 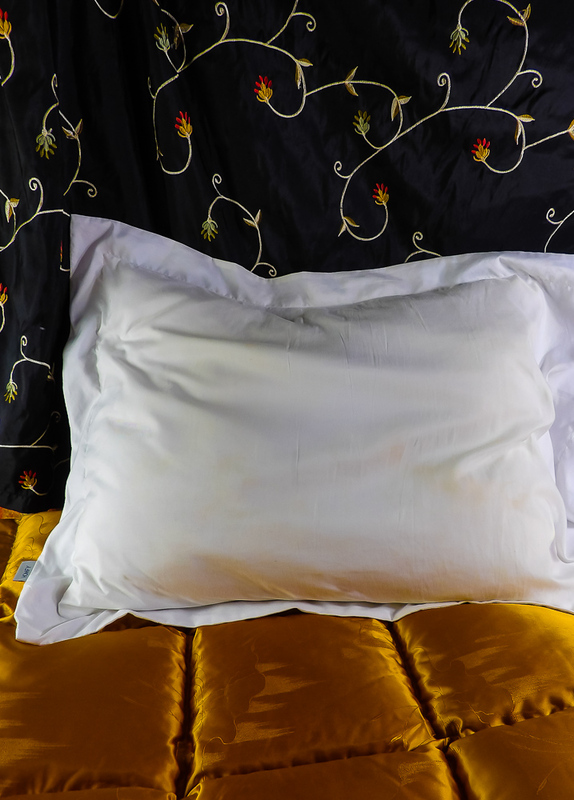 So like the sheets, it is also dust mite and mildew resistant! It is also SO FLUFFY without being cumbersome. It fluffs up more from laying it out and allowing it to fluff up a bit. But it could be used directly out of the package. And since it is hypoallergic, you don’t need to air it out before use! The HOMFY Sheets and Down Alternative Comforter is so luxurious, you’ll want to stay in bed all day! There are also corner tabs to secure it in place. 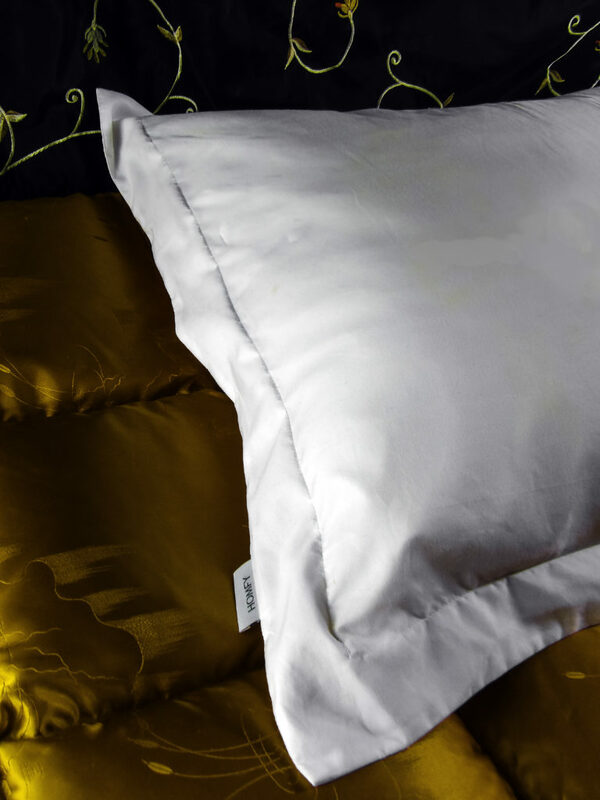 I put a beautiful gold silk duvet cover over it, and it didn’t slide around in the cover, which is great! Find the HOMFY 100% Cotton Queen Comforter at Amazon. So there you have it – the building blocks to a great night of beauty sleep! Sweet dreams! Style Chicks received products from HOMFY in exchange for our unbiased review and received compensation for our time and effort. However, our experience with the product and the opinions expressed in this review are 100% ours.